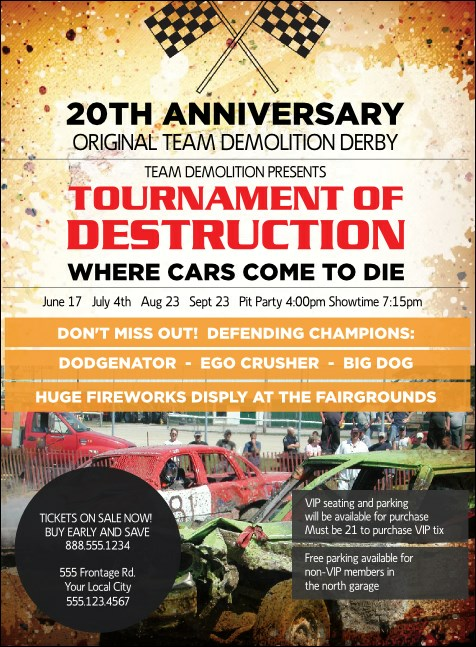 Get in the zone of awesome pre-event promotions when you print Crash Zone Invitations and send them out to your demolition derby guest list in advance. Watch the RSVPs roll in for your next motorsport event with Invitations that feature a realistic photo of a derby in action with a colorful confetti background design. TicketPrinting.com helps keep your wheels rolling.